Up to 5 effects can be used simultaneously, chained together any way you like. In addition, there are 68 built-in rhythm accompaniment patterns, and you can connect headphones to the output jack (as well as portable music players to the auxiliary input jack) for silent practice sessions. There's an onboard chromatic tuner that supports all standard guitar tunings, including open and drop tunings, and a Looper feature that allows you to record up to 30 seconds of CD-quality audio. Loop length can be set either manually or to a preset number of quarter notes (up to 64 beats), and you can loop to any rhythm pattern, with automatic quantization that ensures seamless start and end times. Programming is simple and straightforward, thanks to a streamlined user interface and large backlit LCD screen. Advanced editing features such as Swap, Auto Save, and Pre Select make it easy to organize your patches for live performance and allow you to scroll through patches silently while keeping the current patch operational. 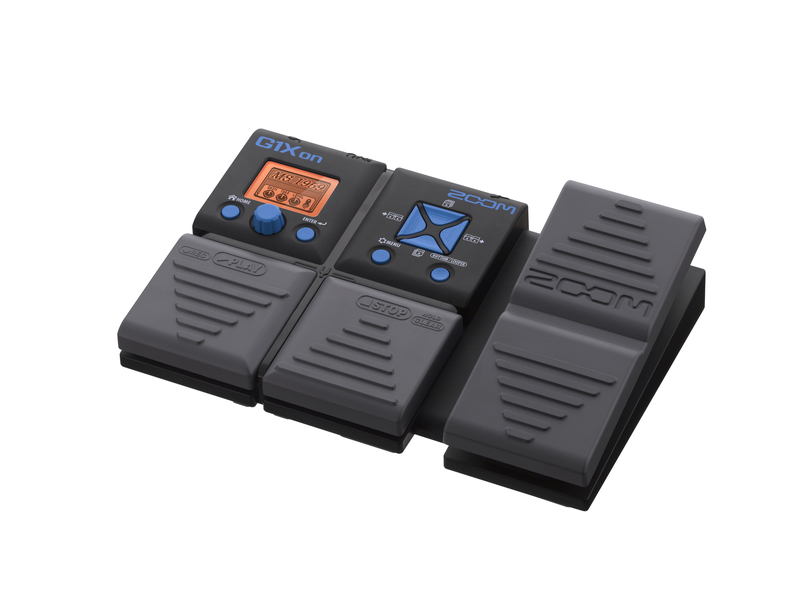 In addition, the G1Xon's built-in expression pedal enables you to control input level, output level, or any selected effect parameter in real time. Amp – Twenty-two of the most realistic models ever created, including simulations of classic tube and solid-state amps from manufacturers like Fender, Marshall, Hiwatt, Mesa Boogie, Orange, Bogner, Matchless, and Diezel. Our amp sounds are so lifelike, you'll swear on a stack of speaker cabinets you're listening to the real thing. You can also easily edit chains you’ve previously created — and you'll find that simple changes in the order of effects can alter sounds dramatically. For example, an EQ set before an amp model can result in a radically different sound than having the EQ set after the amp model. That's because putting the EQ before the amp model serves not only to alter the tonal characteristic of the sound but to act as a signal booster as well. All this can be done internally with the G1Xon — much easier than physically changing the order of stompboxes. Guitarists know the importance of playing in tune. But it's not just about getting your instrument in tune; it's about keeping it in tune all night. 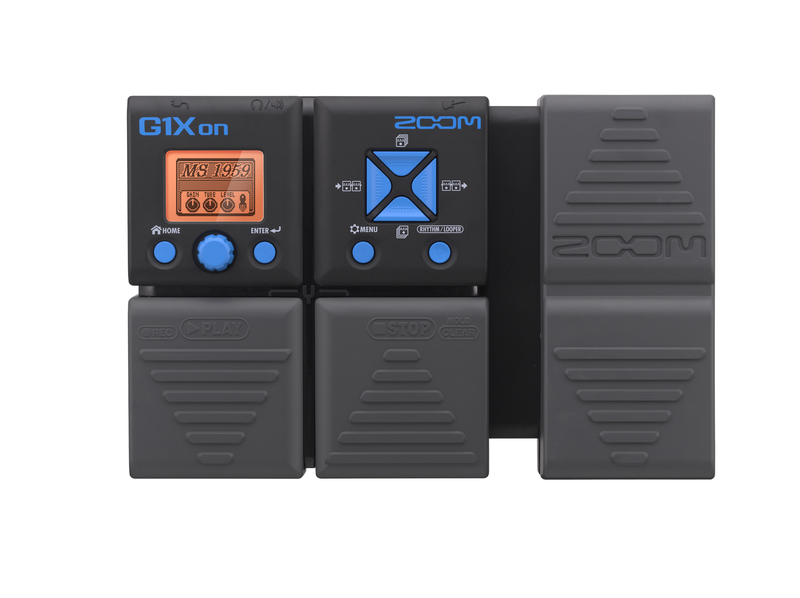 That's no problem if you're using a G1Xon, because its built-in Tuner makes the task totally stress-free, even under the pressure of a live gig and the heat of stage lighting. The G1Xon Tuner is instantly accessible at all times and shows you whether the note you're playing is sharp, flat, or dead on. You can opt to either bypass the currently selected effect (thus giving you a clean, unaffected sound) when tuning, or to mute the signal altogether, allowing you to tune in silence. Rhythm training is an important part of every guitarist's craft. The G1Xon Rhythm function makes it easy and fun to do. 68 realistic-sounding rhythms are at your fingertips: PCM samples of actual drums playing real-life patterns in a variety of different genres—everything from rock to jazz, and from Emo to Motown. Dozens of quarter-note, eighth-note and sixteenth-note rhythms are provided, in 4/4, 6/8 (shuffle), and 3/4 (waltz time); for the adventurous, there's even a 5/4 groove! Got a great lick that you'd like to expand on, or a distinctive chord progression that you think could serve as the foundation for an exciting improvisation or an inspired solo? Explore your creativity to its fullest with the G1Xon Looper, which allows you to layer up to 30 seconds of performance (through the effect or effects of your choice) in high quality 16-bit 44.1kHz audio. Recording time can either be set manually or to a preset number of quarter notes, up to 64 beats, and starting and stopping the Looper (as well as readying it for an overdub or clearing its memory altogether) is as easy as pressing a pedal—no hands required. Finally got that perfect effect crafted, but afraid you'll lose it? It'll never happen when you use the G1Xon's handy Auto Save function. When switched on, whatever you change will automatically be saved. Alternatively, if you'd prefer the insurance of a safety net (so that you never accidentally overwrite a patch), simply leave Auto Save off. The G1Xon will then politely ask you if you want to save your edits whenever you move on to a different patch. Settings can be saved to the currently selected memory area, or to any other area, allowing you to store your effect wherever it's most convenient. Normally, you'll want to store your custom G1Xon patches adjacent to one another so that stepping on its pedal will scroll through them in the order needed. In that circumstance, you'll also want the sound to change immediately, and this is the way the G1Xon normally operates. However, if you haven't stored your patches in adjacent memory locations, or if you simply get the urge to experiment and change things up in the middle of a performance, just turn on the G1Xon Pre Select function. This allows you to scroll through patches silently, with the current sound remaining unchanged as you do so. 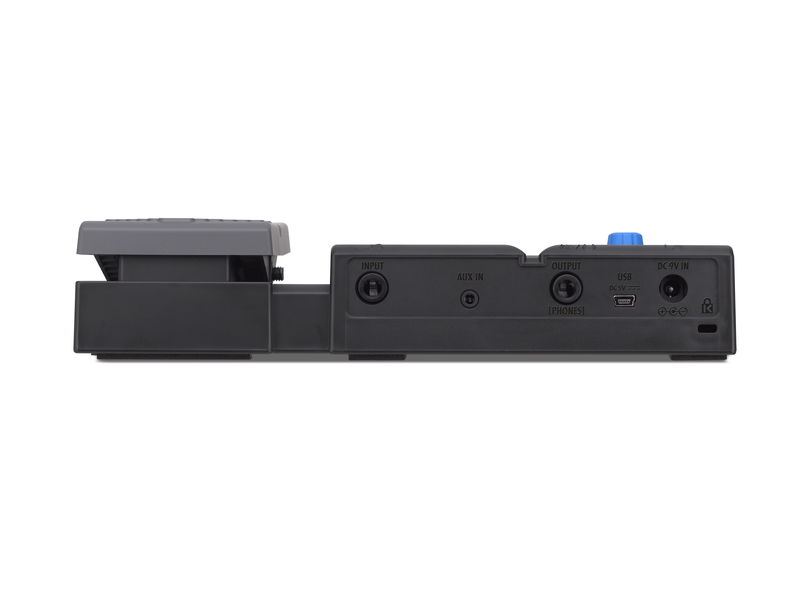 When running on batteries, the G1Xon powers up automatically when a jack is inserted into its input connector, and a unique "eco" function can be used to automatically power the unit off if unused for 10 hours. 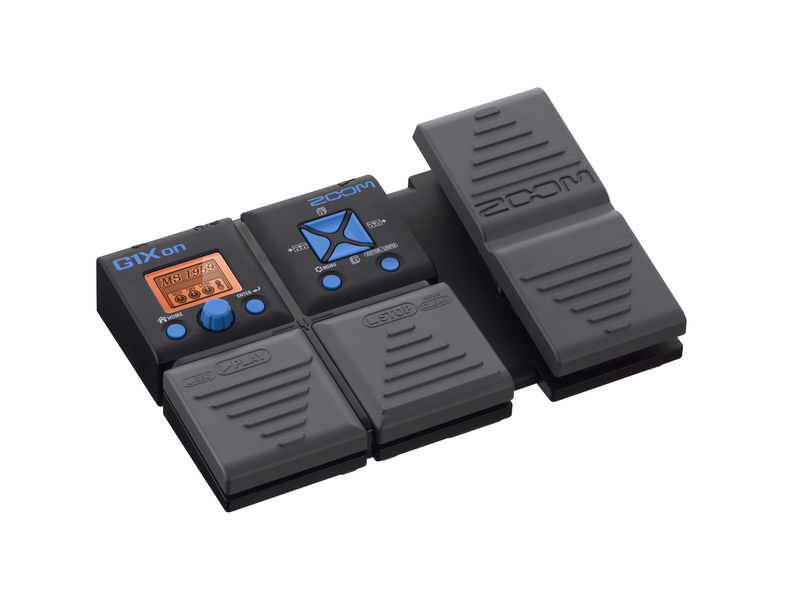 The G1Xon's built-in expression pedal allows you to alter any selected parameter in real time. You can use it for gain drive or volume (affecting either input or output level), to add wah or filtering, to affect delay time or modulation speed, or a variety of other parameters. In addition, the pedal range can be independently adjusted for each patch—you can even set the minimum value higher than the maximum value for reverse pedaling effects. There's also a simple calibration procedure which allows you to customize pedal sensitivity. Whether you're a feather-light player or a real lead-foot, the G1Xon can adapt to your particular pedaling style.